If you have been following along on social media you will have seen I have just done 3 economy flights in a row with British Airways. 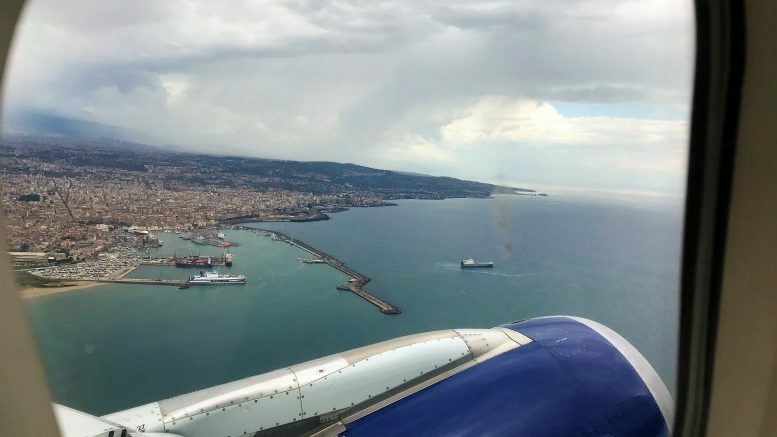 I will include observations from all 3 of my recent flights although the majority is about my Catania flights. Although I have done quite a few shorter BA flights in economy, mainly Dublin, this was the first longer flight that I have done for a long time. I had booked a villa in Taormina, Sicily and the prices for Club Europe were around £600 which for a 3-hour flight is simply not worth it and there was no Avios availability either. When I looked closer to the time BA wanted an astounding £1030 to upgrade one way! I could fly to the US on a cheap deal in business class for that! 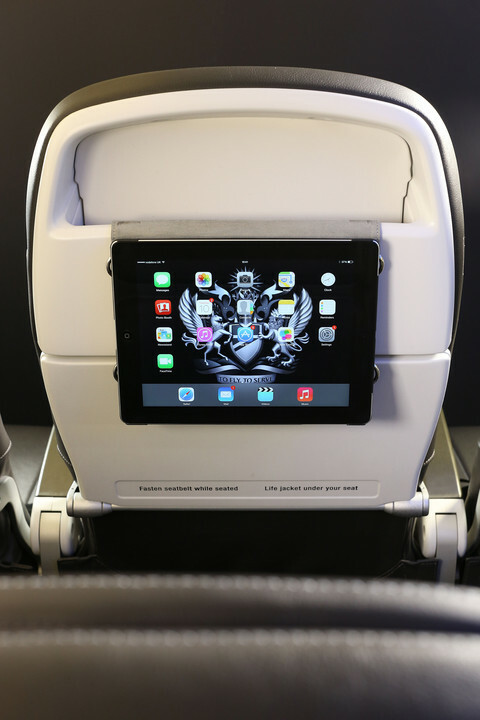 So economy class it was then…. As we were travelling early on a Friday morning we were staying overnight at the Bloc Hotel Gatwick which you can read my review of here. BA has a very handy night before check-in which is open 16:00 – 22:00. To use it you must be departing on a flight the next day before 15.00. I was not there for the check in as I was struggling to get to Gatwick from Heathrow thanks to Sixt myDriver abandoning me with no notice. Meanwhile, my husband checked in both bags on his ticket so I could travel hand baggage only the next day (the extra bag was due to the joint booking with me as a Gold Card holder). The check-in agent was excellent and seeing my husband about to walk through several lanes of Tensa barriers, got up from behind his desk and opened them. He also explained where the lounge was and the opening times after spotting that I was a gold card holder on the same booking. The next morning we were right by the Premium Security entrance and if I hadn’t been singled out for an extra bag search (they seem to be far more stringent at Gatwick as I get one every 3rd or 4th trip) I would have been in the lounge in less than 10 minutes from leaving my room. The BA lounges at Gatwick are generally very good since they moved to the South Terminal. I much prefer them to the Heathrow ones apart from the lack of a spa. Earlier this year BA finally changed the opening times of the First lounge to 05.15 after previously only opening at 07.00. This was previously leading to a very busy Club lounge which wasn’t a great start to an early morning trip when most people are not in the best mood anyway! 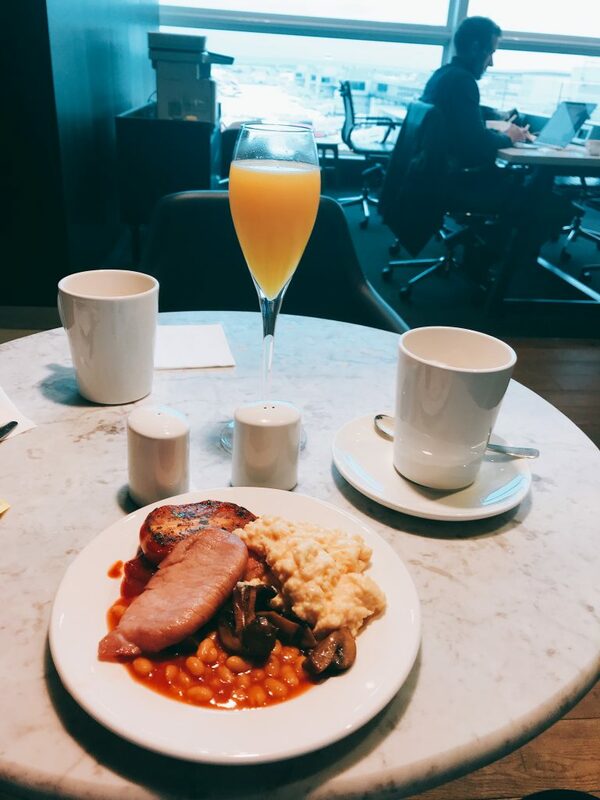 I’m pleased to report that the First lounge was fairly quiet and a very pleasant way to brace myself for economy with a Bucks Fizz and some breakfast before boarding. They don’t have the menu ordering available until 07.00 but they do have a full cooked breakfast on the buffet which I sampled. They also had porridge, fruit, yoghurt and pastries. Toast was available to order. The scrambled eggs were extremely good as often they are dry and rubbery on most buffets. These were soft and creamy – one might call them eggs-cellent!! My only complaint was the size of the plate which was the size of a side plate. We sat adjacent to the business area with its rather odd Tracey Emin drawings (above). Staff were friendly and quick to clear plates away. My husband was worrying about group boarding as I had group 1 and he had group 3 (Ruby status). However, BA allow people to board together with the highest status person if you are on the same PNR as stated on their official group boarding page here. They are due to fix the system to give then same group on the boarding pass for all the party travelling in the future. We arrived at the gate after boarding had started. They had announced the gate quite late and we left the lounge as soon as it was shown but still got there after boarding had started as it was a long walk. We were sitting in row 13, the exit row which I can choose free due to my Gold status. This row actually has much more legroom than all the rows in Club Europe apart from Row 1 which is similar although having the bulkhead in row 1 does restrict legroom a little. On the way out we had a full row so our strategy of placing me in the middle seat to take advantage of the gold seat block didn’t work as it was a completely full flight. On the way back the strategy worked perfectly and we ended up using the middle seat with the tray table down so that I could work but still have a drink and snack at the same time. When we had this configuration then I definitely would not bother paying for Club but then you can’t guarantee this. Roving Reporter seems to do pretty well with the getting the empty seat next to him, but this is the first time I managed it apart from on the flight back from Dublin before this when I had the whole row! Although I didn’t use it this time I do like the way that you can hang your tablet from the seat back if you have the right sort of case. I found the seat pretty comfortable for a 3-hour flight. It felt quite wide and I could easily cross my legs as my knees were nowhere near the seat in front. 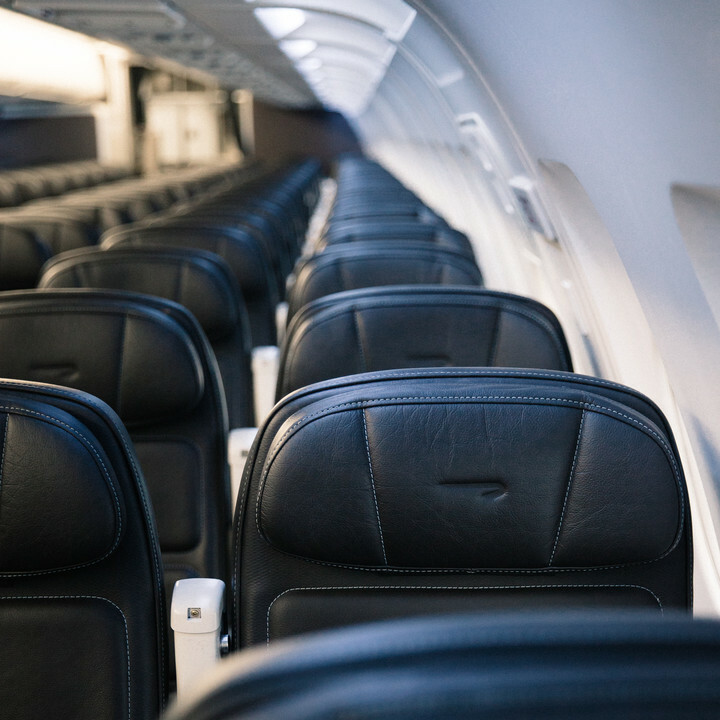 It will be interesting to see how that compares to the new seats being introduced on short-haul economy. My main complaint was as usual, cleanliness. 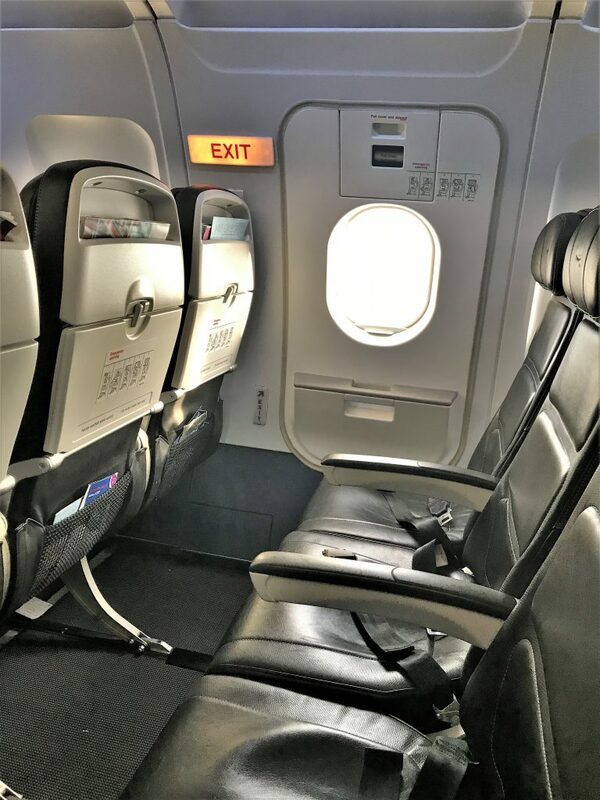 I realise they don’t have time on short haul flights to clean properly but it doesn’t make it any less stomach-churning trying not to think about what the splatters all over the seat back in front may be! Another advantage of travelling Club is the handy hand towel cleaning cloth they give you at the start of the flight. On my last Club flight the CSD was slightly alarmed that I was cleaning around my seat! On none of the three flights was my Gold status acknowledged in any way unlike in Club Europe where it happens on about 90% of flights. BA have been trialling giving Gold cardholders a free drink in economy, so it will be interesting to see if they roll this out. 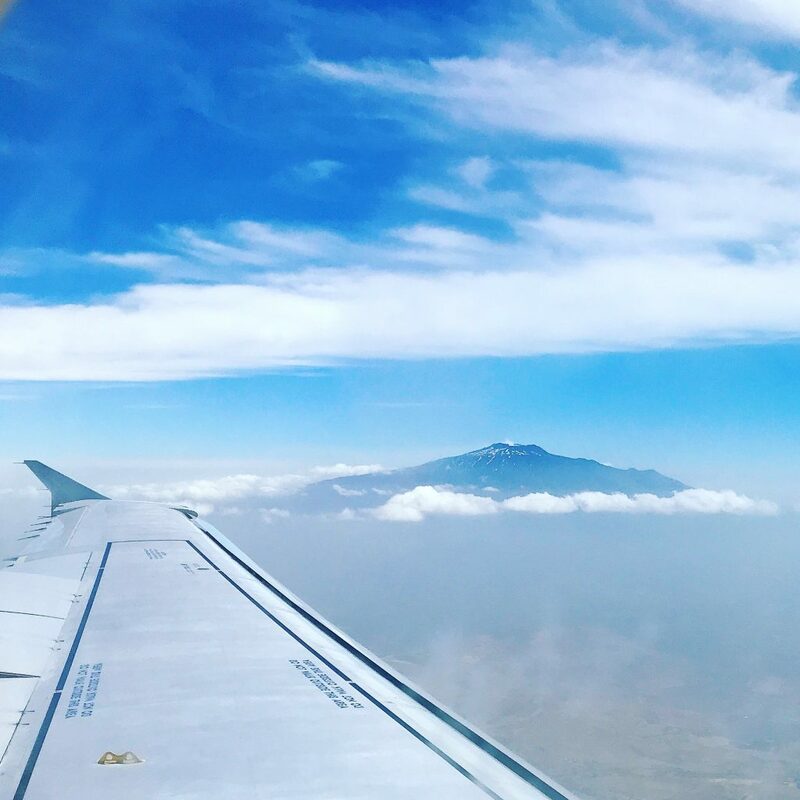 Over the three flights, I tried out the different options for paying and bought a few things from the buy on board menu. 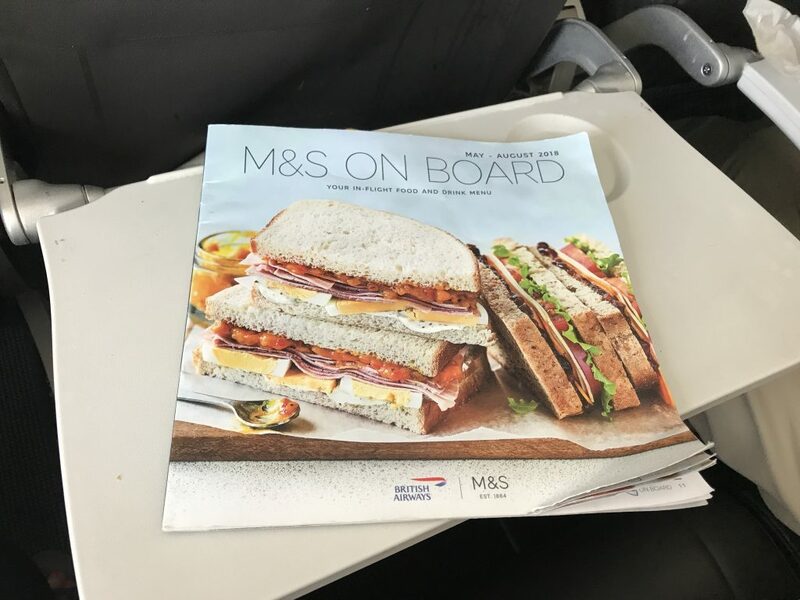 As I was fairly near the front on all the flights, they hadn’t run out of anything and I could hear people ordering some of the hot items which take around 10 minutes to cook. 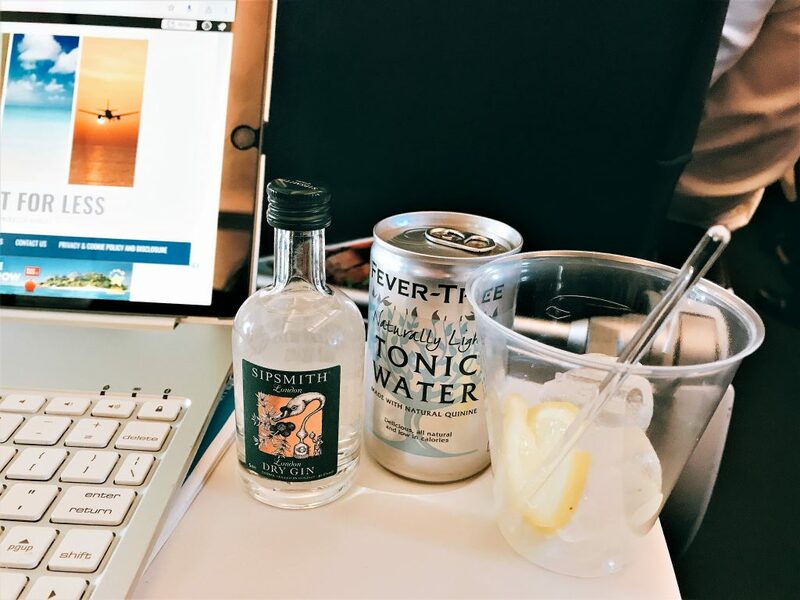 I find it slightly ironic that they have better Gin in economy than they do in Club. It was nice to see some interesting gins such as the Whitney Rhubarb gin but I went for a Sipsmiths. There was a choice of light or Mediterranean Fevertree tonics. With the tonic it came to £7.50 for a double or 950 Avios. I used my BA app to pay with Avios. It did seem to take a little while as they have to type in the numbers. It’s a shame they can’t scan the barcode on the app. It felt quite a premium offering apart from the plastic glass. I found it a little strong though with only one tonic but I couldn’t justify another 200 Avios for a second one. On the next flight I bought some crisps and tried to pay with my Gold plastic BA card. This wouldn’t swipe so took quite a long time to process. 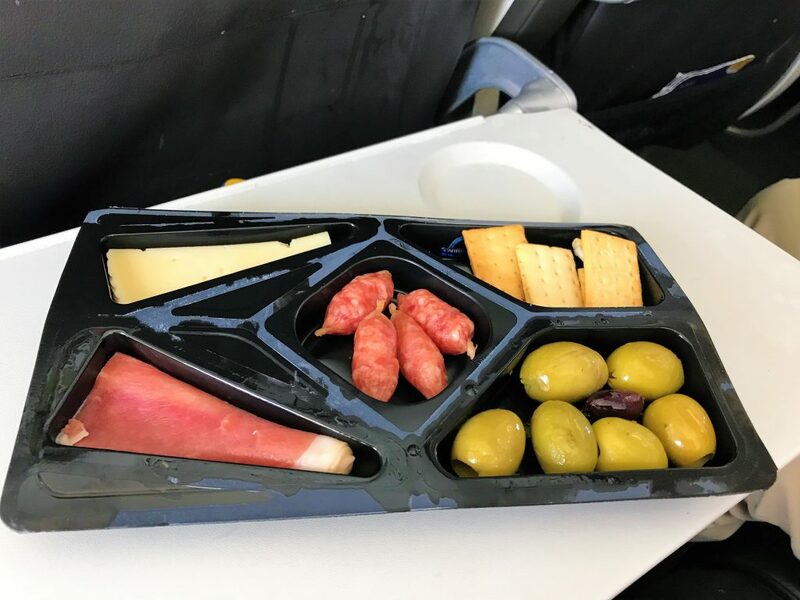 Finally, on the flight back from Catania I used my contactless card to buy the tapas platter and a bottle of Rosé wine. Contactless was extremely quick – pretty much instant as in a shop so this is what I would use in future. The tapas platter is the only thing on the food menu that isn’t M&S. I thought it was presented nicely and I found the contents quite tasty if a little oily. The sausages tasted a lot better than they looked. They were like little salamis. The wine was also better than I expected as none of the wines sounded particularly wonderful. This was a nice, dry, light Rose wine with a hint of fruitiness. 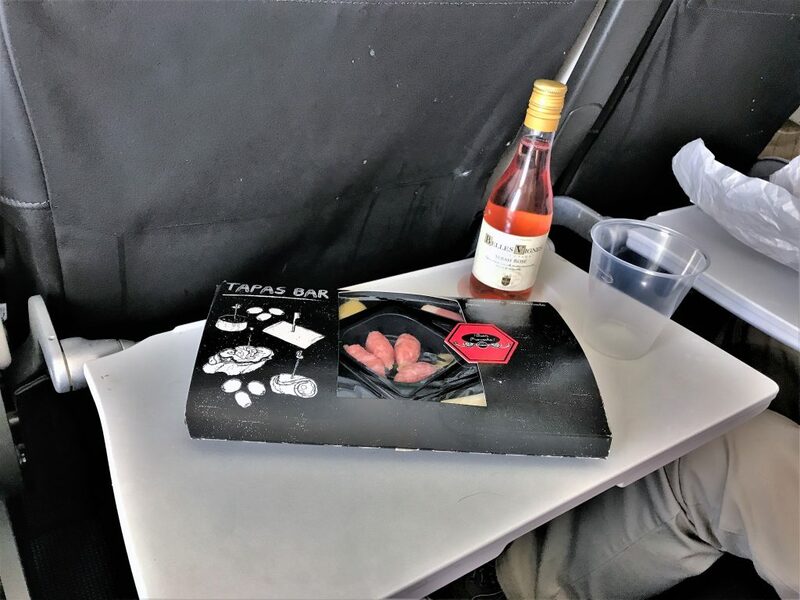 The tapas cost £4.95 / 625 Avios and the wine was £4.50 / 575 Avios which didn’t seem outrageously costly. Catania airport is one of my least favourite airports and the BA method of operation there doesn’t really help. Basically, the airport is far too small for the number of passengers and always feels overcrowded when I have visited. There is no lounge there although I don’t blame BA for this as the one 3rd party lounge couldn’t even accommodate a whole Club cabin. It is very small plus it has no alcohol anyway. There is a premium security queue but we didn’t bother as the regular one always moves very quickly. You have to go through passport control to get to the gate and once through there is nothing really there apart from a small duty-free shop. The gates are basically too small so you end up having to stand in a small overcrowded space waiting for boarding, BA for some reason don’t use airbridges at all at Catania which means you get bussed both ways even though there is a whole row of empty jetbridges. At least now they have stopped the ridiculous group 1 area on the bus that was cordoned off with red plastic tape. All this achieved was to cram in everyone in a small area. It still makes no sense calling group 1 first as you board the bus first and then have to wait for everyone else. Then when you get to the aircraft you usually end behind everyone else anyway so all fairly pointless. Fortunately being a quieter flight on the way home it was no problem to find space for our hand luggage since we were in the exit row. On this trip we stayed in a villa in Taormina which had wonderful views. You can see more information and book the villa here. If you are interested in going to Sicily you can read my Tier Point breaks guide here. 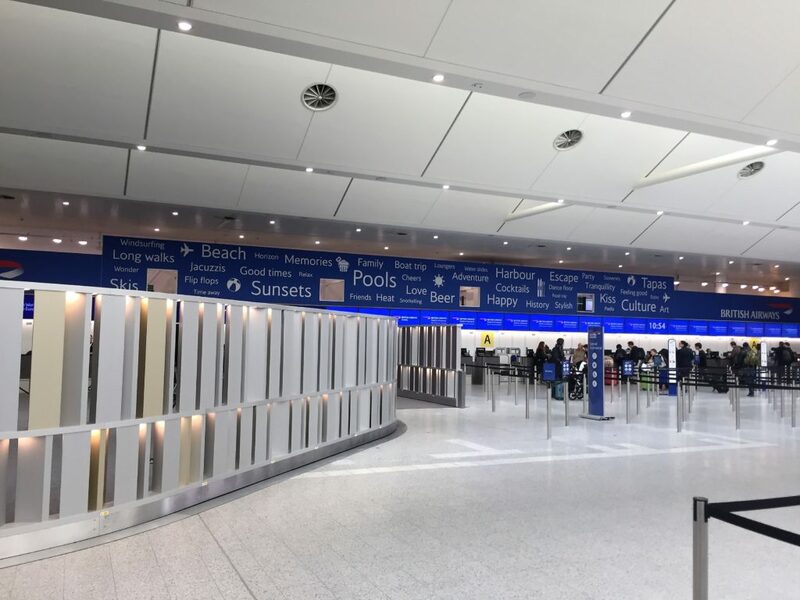 You can find more information on Gatwick Premium Passport Control here. Last year I flew Easyjet for a similar holiday from Gatwick. 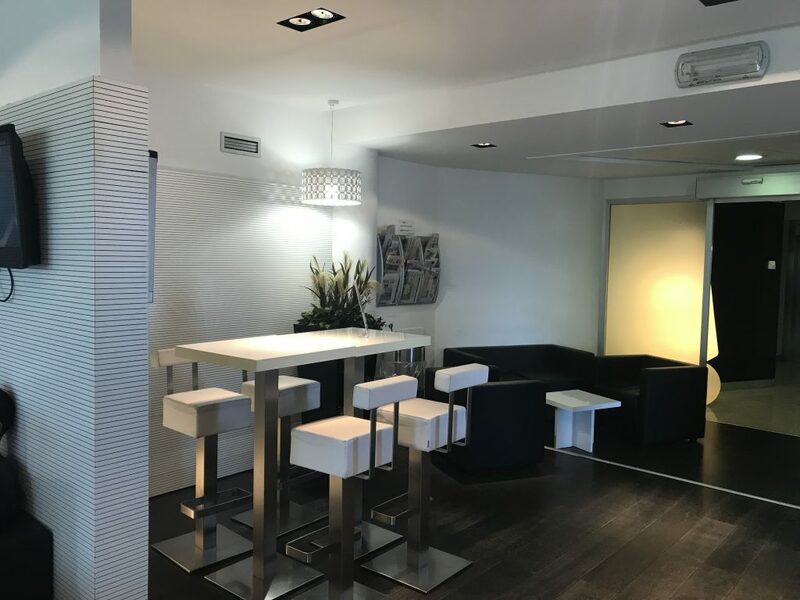 I would normally choose BA due to my status which gives me the luggage, lounge and seating benefits as well as Tier points (40 return on this trip) and Avios. Other than that there was virtually nothing to choose between them except for the boarding process which was better on BA even with the bus at Catania. In future, I would be driven by price although I would pay slightly more for BA given the above benefits. 5 Comments on "Turning right: British Airways Euro Traveller, BA First Gatwick lounge in 360° & Gatwick Premium Passport review"
That’s how I use my ipad too to watch movies. I use BA a bit to get to Oslo. Not much in it between them a SAS. Both flights always full. Why would you use the premium passport if you are a UK citizen? It is available to U.K./EU residents or non residents. Last time I was at Gatwick during the peak season we queued for at least 45 minutes for the automatic gates.